Marg Meijers has taught in secondary classrooms for 17 years, and has been curriculum coordinator for ICT at each of the schools where she has taught. 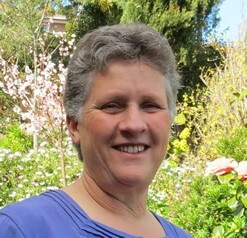 During her career as a secondary Digital Technology teacher, Marg was recognised for her innovative teaching approaches using games in learning at both a national and global level. Her teaching awards included a Microsoft Innovative Teacher Worldwide Award, Australian Council for Computers in Education Outstanding Teacher Award, Teaching Australia Best National Achievement, Tasmanian Society for IT in Education Outstanding Teacher Award and a Hardie Fellowship. Dr. Stephanie Clayton is a lecturer at the University of Tasmania, based at the Cradle Coast Campus in Burnie. She has tutored several subjects in the Bachelor of Education, including the unit on Digital Technologies Education. In early 2018 she attended the National Computer Science School (NCSS) with talented young people from around Australia for an intensive course of computer programming and website development in the School of IT at the University of Sydney.